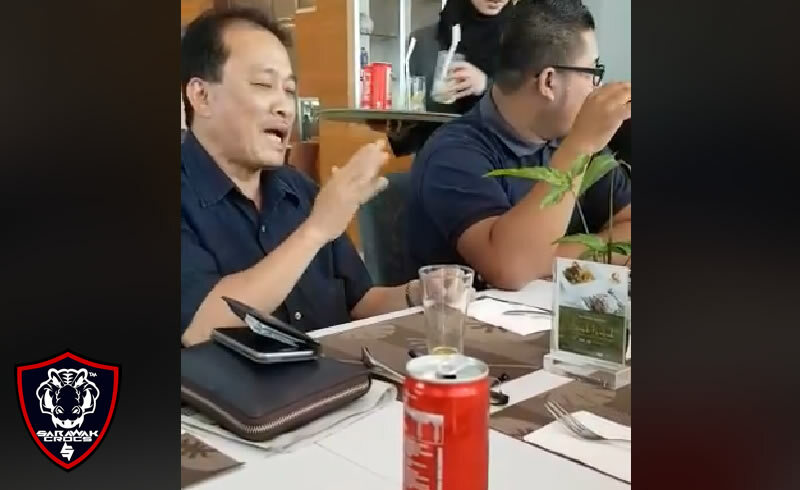 The President of the Football Association of Sarawak (FAS), Datuk Posa Majais, was recorded on video by a supporter as he denied that there is problems with salary payments for players. In the video seen uploaded on Facebook, Posa was seen seated at a dining table while explaining to a group of fans about how payments are made, saying that payment are sometimes split into a few sections. If our hearing is accurate, Posa was also heard as saying that since he took the job as President of FAS, there hasn’t been any lengthy delays in regards to salary payments with payment delays only lasting a maximum of one month. We are however unsure when the video was taken, but if our guess is right, the video may have been taken around 16 of February this year. Posa’s statement definitely contradicts the information given by a mysterious source that contacted us today, as well as the information given to us by a former agent of a player in Sarawak FA. Well, if it’s true there is no issue with salary payments as claimed by Posa, then there should be no excuse for the team to start delivering results. Next articleSarawak FA kian parah, kini didenda RM500K, boleh dipotong 6 mata! Knk masih ada masalah pendaftaran??? ?